Discussion in 'BMX & Dirt Jumping' started by formermtboarder, Feb 5, 2008. So I got a DK cleveland over christmas and have since become slightly obsessed. 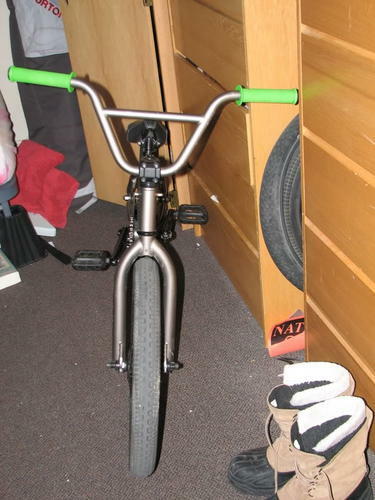 It was my first 20" and until I physically can't ride one anymore I must say I'm never going back. I go to school in Boston so I ride exclusively street, although we have a sweet park thats gonna be ready by early 2009 along with a dj line that I'm super pumped for. 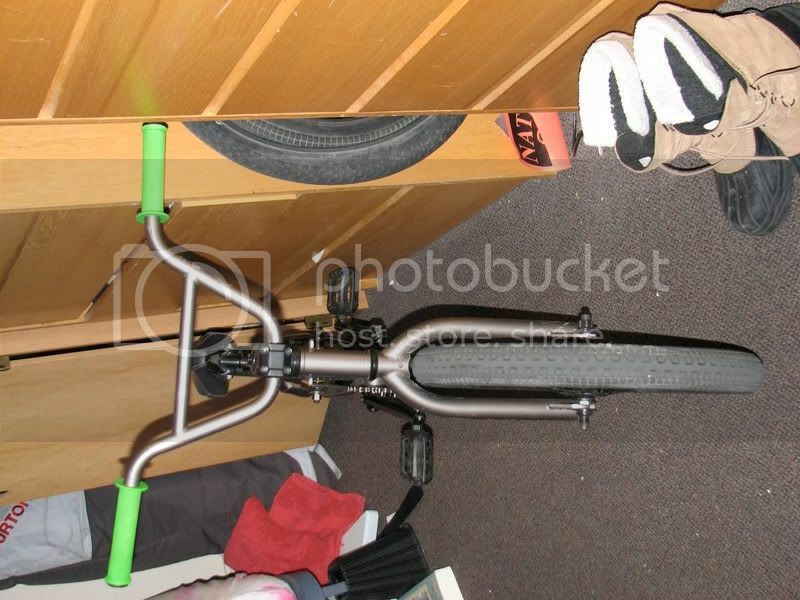 But anyway the stock build was nice, especially for the price, but I recently replaced the rear wheel, tire, chainwheel, pedals and grips. The old wheel was locking up terribly and I decided to go way beyond my skill level and get the profile, oh well. I've been trying to ride on a daily basis but have yet to get any ride shots, we dont really shoot much (as in once since the fall). If I get any I'll add um up sometime. 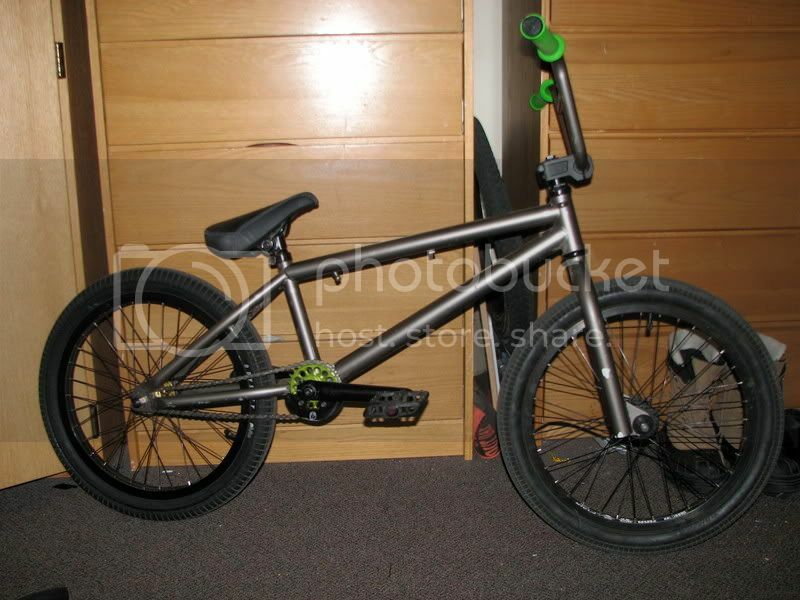 bars: DK cut to 25.5"
Thats so cool. I love the color of the frame and the green combo. it ties up pretty good. Idk but I don't really think you need a bashgaurd with sich a small chainring. Unless you are doing huge sprocket grinds or epic feeble grinds. 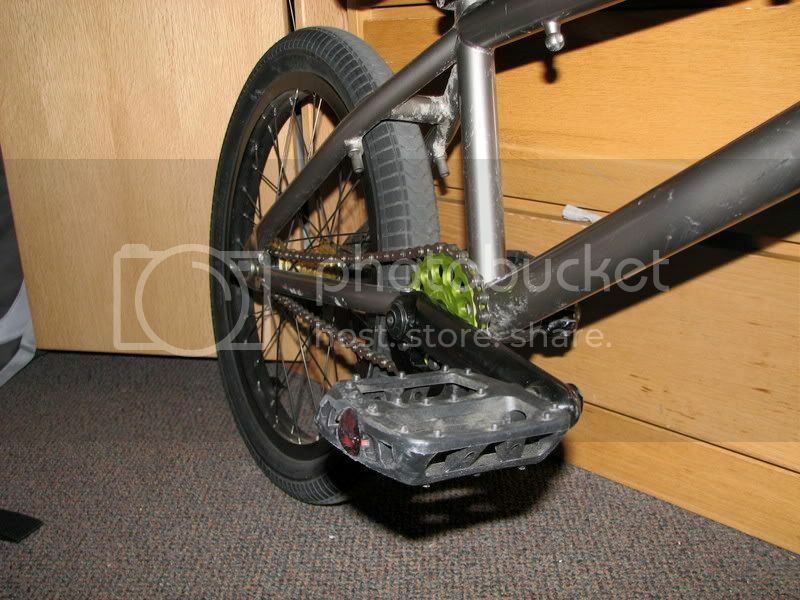 Also might want to tighten up your chain. Otherwise all it good. I have a bad habit of managing to slam my chainring into random stuff, actually the bash already is showing some wear and it hasn't been one there more than 3 days, glad its not my chain/chainring. 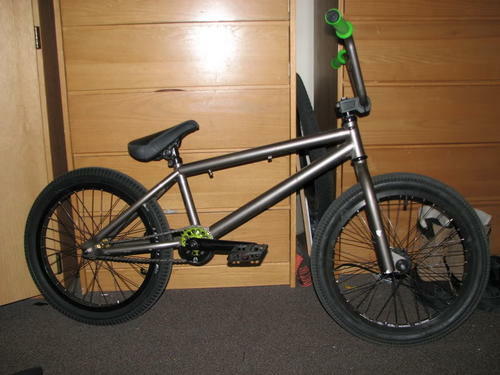 yet another really clean bmx! I like the gunmetal color w/ the antifreeze. and yeah, I tried blacking out the red dot on the twisty ends too, but it doesn't last very long, haha. That's a smooth lookin' ride. Love the hint-o-green.